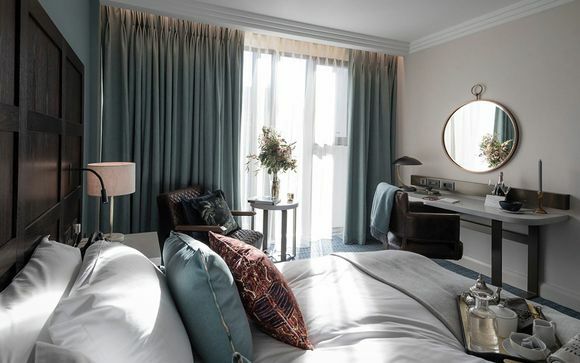 Enjoy an elegant getaway in the heart of gorgeous Cambridge, offering striking decor, a distinctive setting and a calming atmosphere. Take advantage of Tamburlaine Hotel's central location: within walking distance of the key attractions in historic Cambridge. Our members will stay in a Fresher King Room on a bed and breakfast dining basis. Tamburlaine could not be in a better location. The hotel is set in the heart of one of Cambridge’s most vibrant neighbourhoods, with all you need nearby! This destination offers an abundance of beautiful architecture, tradition and history. 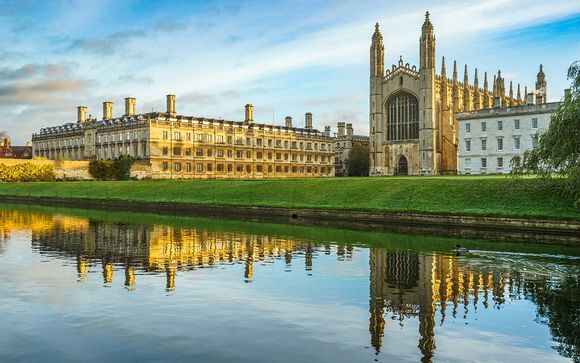 The tightly packed core of ancient colleges, the leafy green meadows surrounding the city and the pretty riverside all give Cambridge a tranquil appeal. Enter a strikingly elegant destination where in-the-know locals and discerning visitors can meet and mingle, work, rest and stay. At the heart of Tamburlaine are two floors of stunning shared spaces for guests to make their own, whether they drop by for a coffee or stay for a week! Each area offers its own distinctive setting, mood and atmosphere. From the contagious buzz and energy of the Restaurant and Bar, to the genteel grandeur of the Garden Room, Tamburlaine Hotel has something to excite everyone. The 155 guest rooms are spacious, comfortable and welcoming. Expect bespoke furniture, pretty views and the very best in amenities. The Tamburlaine also rewrites the rules of hotel dining, with 4 stunning venues offering distinctly different moods and menus. This offer is based on a Fresher King Room. Just for you: Bottle of wine in room upon arrival to Tamburlaine Hotel. Menus are constantly changing but food is always simple, seasonal, locally sourced and prepared to the exacting standards of Alan Dann, the award-winning chef. Fine wines, chilled champagne and craft beers are always in season. As are Tamburlaine’s legendary cocktails, prepared by the resident mixologist! The genteel grandeur of Garden Room with its own luxuriant terrace makes it the venue for discreet meetings and quiet conversations. 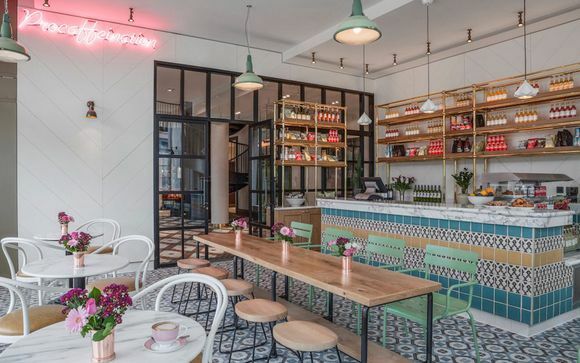 Lush planting, ornate Victorian wallpaper and gorgeous silk velvet sofas set the scene for light lunches, sharing plates and traditional afternoon tea. Guests looking for quiet time to work or relax tend to gather in The Library. Leather armchairs, an open fire and period prints create the intimate atmosphere of a private club. A light menu of sweet and savoury plates is complemented by signature coffees, specialty teas or suggested wine pairings. Tamburlaine’s bustling Bar and Restaurant draws a crowd from early morning until the early hours. 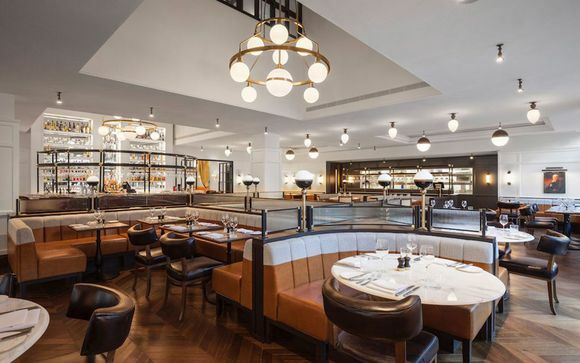 A dramatic carved marble bar takes centre stage in the large, elegant Brasserie-style dining room with its accents of soft leather, gleaming brass and salvaged timber.